Have you lost a loved one? Death is always devastating, even when the person who passed away lived a full life and even when the death was expected. Regardless of whether your deceased friend or relative was aged or was ill before the death, you are facing many traumatic life changes as you cope with the grief of their passing. What are my legal responsibilities after the death of a loved one? What are my legal rights after the death of a loved one? How can a Beverly estate planning and probate lawyer help? What are Your Legal Responsibilities After the Death of a Loved One? When someone you love has passed away, it is important to understand what you are – and are not – responsible for. You are personally never responsible for paying for the debts of the deceased, although some creditors may try to convince you that you shoulder the financial burden of these debts. The reality is that creditors can collect with a claim against the estate, but not with any claims against heirs unless the heirs were co-signers. Executors are responsible for carrying out the wishes of the deceased. Executors have a fiduciary duty to ensure that the wishes of the deceased are followed to the letter. If heirs believe the executor is failing in his or her duties, they can take action. Trustees are responsible for trust administration. This means transferring title to new owners who inherited, in accordance with the instruction of the trust creator. Estate taxes may be assessed on the estate. If the estate exceeded $5.45 million (as of 2016), estate taxes can be assessed. These taxes must be paid, which can sometimes result in heirs taking a loan or selling some of the inherited property. The executor and trustee have the most responsibility after a death, and those who are fulfilling these roles should consult with an attorney as soon as possible. However, heirs and loved ones of the deceased may also need legal help resolving lingering legal and financial issues. Your legal rights after someone you love has died will vary depending upon the provisions of the deceased’s will and other estate planning steps taken by the deceased. You may be entitled to an inheritance and you can expect that the executor in probate or the trustee administering the trust will act in your best interests. The executor or trust administrator should carefully manage and protect assets to ensure financial loss is avoided. The fiduciary duty owed by an executor and by a trustee are the highest duties under the law, and anyone who believes executors or trustees aren’t fulfilling the duties should consult with an experienced Beverly attorney. You may also have some rights even if you did not inherit. You can make the argument that the will was not a valid one because it was created by undo pressure to sign. Successfully contesting a will involves providing proof of undue influence, unsound mind, or other justifications for failure to enforce a will. You will need to put together the strongest possible legal arguments you can, and you owe it to yourself and the deceased to work with an experienced attorney to make sure an invalid will is not used to determine how assets will be distributed. 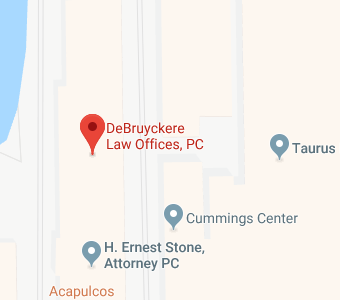 DeBruyckere Law Offices offers legal assistance in both New Hampshire and Massachusetts. If your loved one has passed away and you want to have a trusted legal representative taking care of all of the legal issues raised by the death, our firm is here to help. Give us a call at our New Hampshire number, (603) 894-4141 or at our Massachusetts number, (978) 969-0331.